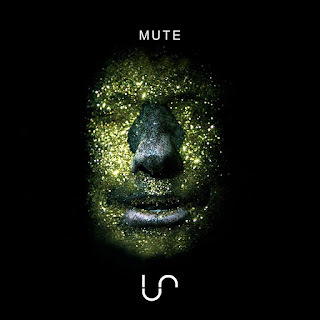 Mute is the second single from Stockholm-based electronic duo Us. The voice might be familiar though - it's Andrew Montgomery, formerly of Geneva and Amityville and who released his solo album Ruled By Dreams a few years back. His voice is unmistakable and the sparse electronic backing allows him to really demonstrate his command of range and ability to use it to express emotions in a way that many singers simply don't possess the tools to. Andrew is joined in Us by Leo Josefsson who provides backing vocals and outside of the band is the producer and vocalist in Lowe, the keyboardist in State Machine and a director at LMDL. They describe their sound as "anamorphic, electronic and cinematic", something that's backed up by the accompanying videos for Mute and their debut single Till The Dying Of The Light as well as some intriguing How Sessions video footage where they perform live behind a screen.